Home » Cancer » Medical Breakthrough: Vaccine Ends Patient’s Decade-Long Battle with Cancer? Medical Breakthrough: Vaccine Ends Patient’s Decade-Long Battle with Cancer? As you read this, there are countless scientific and medical studies being conducted. Research teams around the globe are testing new ways to treat cancer, diabetes, headaches, and so much more. There are scientists doing things you may have never even imagined. Sometimes their methods work, but most times, unfortunately, they don’t. However, every once in a while, something happens that could revolutionize the world. In fact, there’s a chance that one of these revolutionary discoveries was made last week. Doctors at the Mayo Clinic recently released the details of a major discovery that’s been at least nine months in the making. It appears as though they’ve cured cancer with a single injection. According to the study, a 49-year-old woman who had suffered from multiple myeloma (bone marrow cancer) for nearly a decade has been cancer-free for nine months and counting. She was part of an experimental treatment program that used the measles vaccine—yes, measles—to try to kill cancer cells. I never like to use the term “cure cancer,” as I don’t want to raise false hopes, but in this case, the facts are the facts. The woman was given an extremely high dosage (enough to inoculate 10 million people) of the measles vaccine in an experimental attempt to kill her cancer. It was administered in a single injection through intravenous therapy. It took an hour for the injection to finish. Before a week was up, her tumors began shrinking and within three months, she was cancer-free. She’s been in remission for more than six months. The vaccine seems to work by getting into the cancer cell and essentially blowing it up. It’s called systemic oncolytic virotherapy. This is a big step. But it should be noted that the same treatment was given to other patients who didn’t experience the same results. So far, her case is the one shining star. Some patients did see tumors shrink; however, others experienced no response. 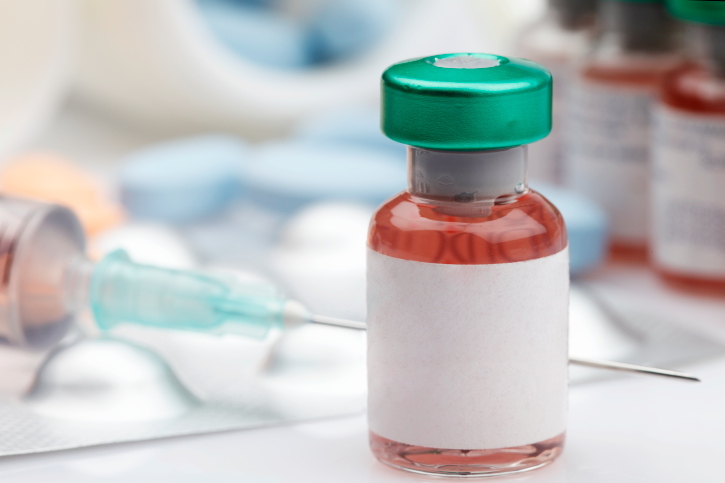 Doctors often experiment with existing vaccines and treatments for other conditions. One of the most difficult parts is finding effective dosages. It’s about finding that line between effectiveness and danger. The treatment requires further exploration. Learning why it worked so well on this woman, but was only somewhat effective on others and not at all in some, could offer valuable insight. Larger studies are set to get underway to further this research to see if this kind of treatment can not only be effective on a larger scale, but if it can be used to treat a number of different forms of cancers, too. If this treatment is successful, it would truly be revolutionary. Curing cancer with a single shot has the potential to save years of treatment, high costs, and the immeasurable pain and fear it causes for patients and their families. Because there is still plenty of research to be done and the treatment would still have to go through the U.S. Food and Drug Administration’s approval process, the earliest possible time this treatment would be available is about four years from now. But that is a best-case scenario. The research would have to prove that the treatment is effective and safe. Curing cancer with a single shot is the treatment researchers and patients have been hoping for. It appears they are now closer than ever, with evidence that it can be accomplished. Wilson, J., “Measles virus used to put woman’s cancer into remission,” CNN web site, May 18, 2014; http://www.cnn.com/2014/05/15/health/measles-cancer-remission/. “Mayo Clinic first to show virotherapy is promising against multiple myeloma,” Mayo Clinic web site, May 16, 2014; http://newsnetwork.mayoclinic.org/discussion/mayo-clinic-first-to-show-virotherapy-is-promising-against-multiple-myeloma.